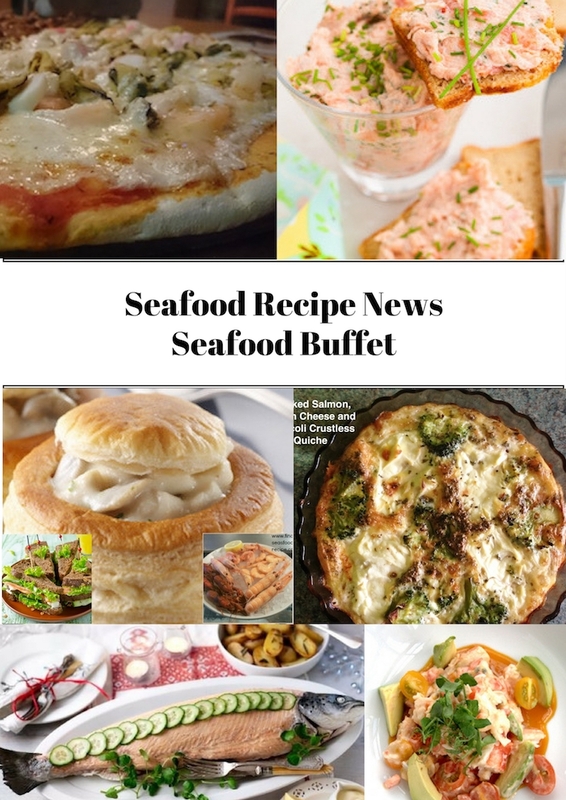 Whether you want a super seafood buffet or some seafood as part of a mixed buffet, feast your eyes here. 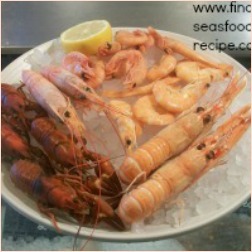 There's a fabulous selection of seafood that you can either make yourself or buy ready to serve. If there's any leftovers, they'll be great for a packed lunch to take to work or school. Do be careful about leaving seafood to get warm in the sun or under lights. Keep it in the refrigerator once it's ready and then put it on the table when your guests are ready to eat. Seafood Quiches are extremely easy to make. 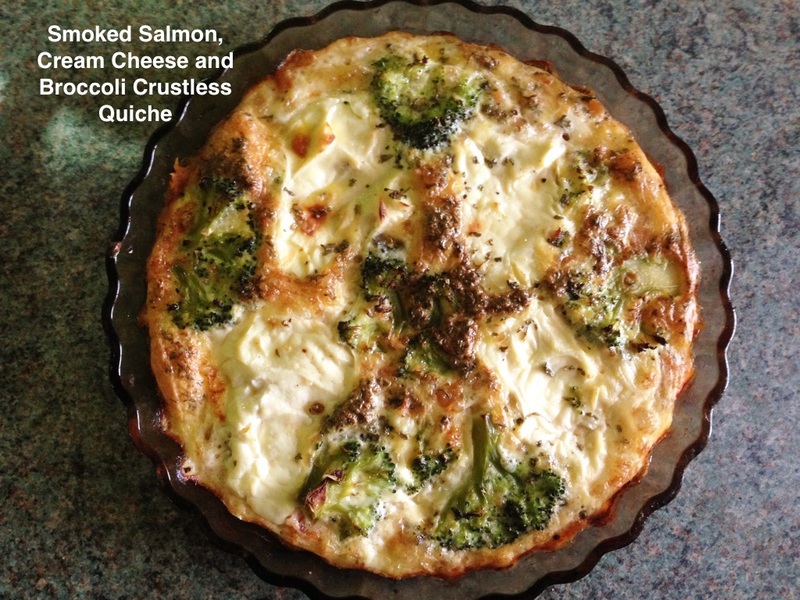 You can make them crustless, like this Smoked Salmon Quiche or a Seafood Quiche with a pastry crust. You'll learn how to make perfect quiche pastry as well as variations, from using frozen seafood to canned. 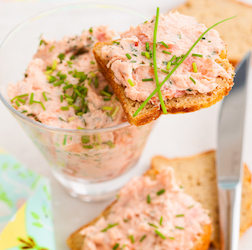 A seafood pate is a great idea. I tend to use smoked fish for this. 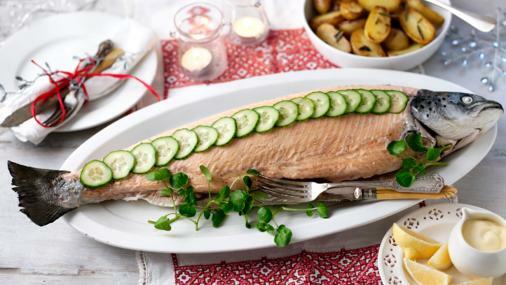 Try mackerel, smoked salmon, smoked trout - cooked smoked haddock is very tasty. 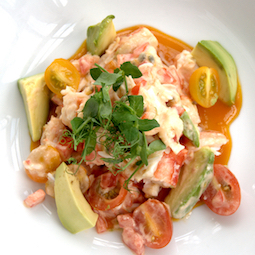 You could even use canned fish, pilchards, mackerel, tuna, crab. Just substitute the fish you like for the one in the recipe. Serve with some thinly sliced melba toast or french stick, crackers or crudités for dipping. 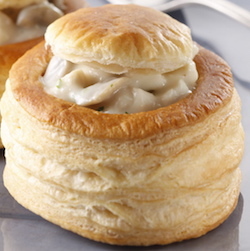 Gorgeous Seafood vol au vent - you can buy them ready cooked, frozen to cook or prepare your own. Then you just need to fill them. A seafood platter is just perfect. Choose from any fresh or frozen seafood. Make sure you keep it cool - don't leave it in the sun or you may get some upset tummies. This is about as easy as you can get. Add some lemon wedges and plenty of bowls for people to put the shells. Some hand wipes or dishes of water would be useful too. mussels - not in the shell! That's not an exhaustive list, I'm sure you can think of more. 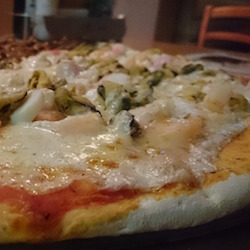 You could have a Pizza Seafood Buffet. How about an impressive whole poached salmon? There's instructions here which will open in a new window. You can hire fish kettles or buy one if you think you'll use it a few times. Alternatively, a large roasting tin would work. If you don't have either of these, then you can cut your salmon into portions to cook and then put it back together on the plate. Slice extra cucumber to represent fish scales and then you can hide the joins. 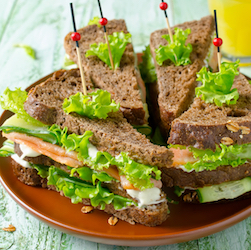 Don't forget to add a selection of seafood to your sandwiches if you're having them. You can use sliced brown or white bread, baguettes, wraps, bagels, croissants, brioche - there's no limit to the variations.